This signature suite’s name pays homage to the hotel’s previous incarnation as the glamorous Saxony Hotel, an opulent hotel described as “The Queen of Collins Avenue,” famous for its luxurious rooms, fine dining and Cabana Club service frequented by Hollywood icons. 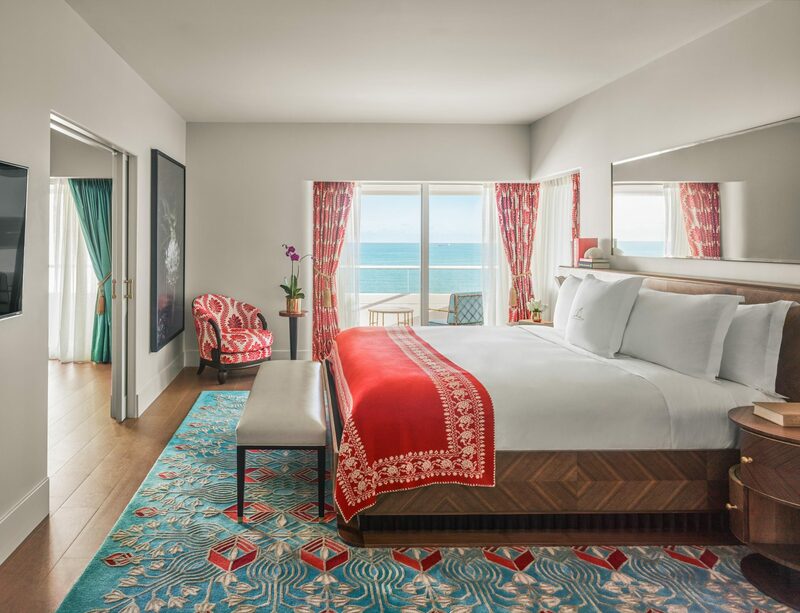 The residential-style, multi-bedroom suite exudes luxury with a six-seat dining table, full-service kitchen and oversized furnished balcony overlooking the Atlantic Ocean. Guests of the Saxony Suite enjoy Faena Butler service. I stayed at this new, beautiful and stylish hotel for 4 nights with 3 friends. The rooms are simply spectacular...we were upgraded to suites and the elegant design made being in the room a positive pleasure.